Over halfway through this years Great British Bake Off, and time to tackle my first ever technical challenge! 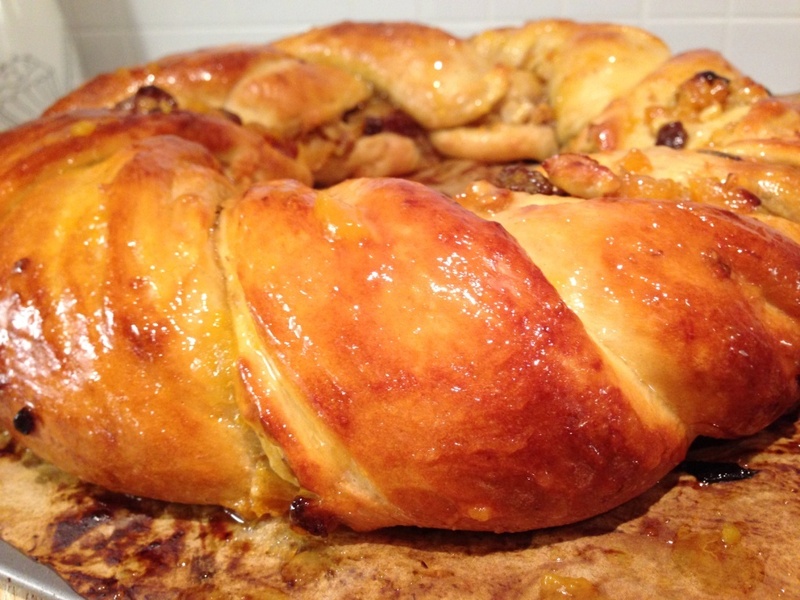 This week the bakers tackled one of Paul Hollywood’s formidable recipes – a sweet enriched dough Apricot Couronne – or crown. 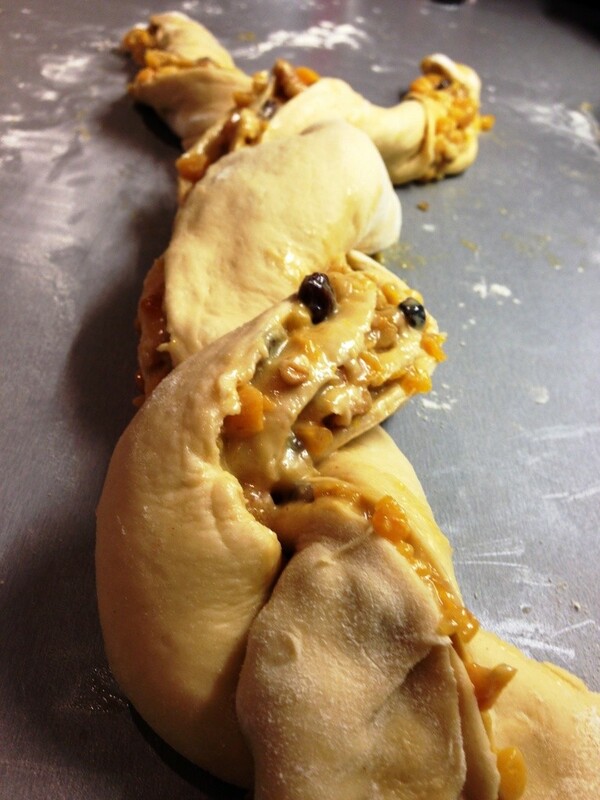 With two rises, a sweet filling, and a tricky, sticky plait to master, things weren’t going to be easy. 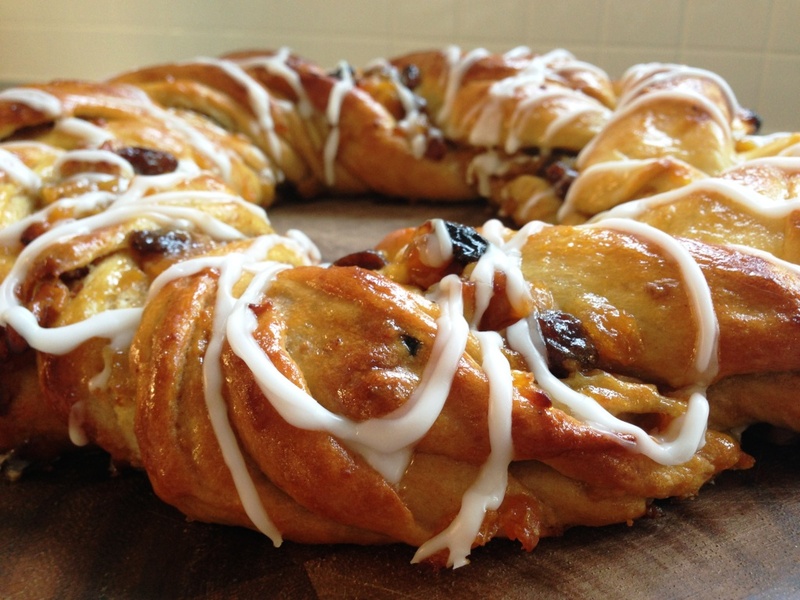 Thankfully the full recipe is up online so there was no guess work for me – Paul Hollywood’s Apricot Couronne Technical Challenge. 10 minutes of kneading (my arms didn’t thank me for it in the morning!) and a good hours rise in the airing cupboard, the filling went in and twisted plait tackled. I had a little chuckle to myself at the “transfer to a baking sheet stage” – sounded so simple but was incredibly sticky! 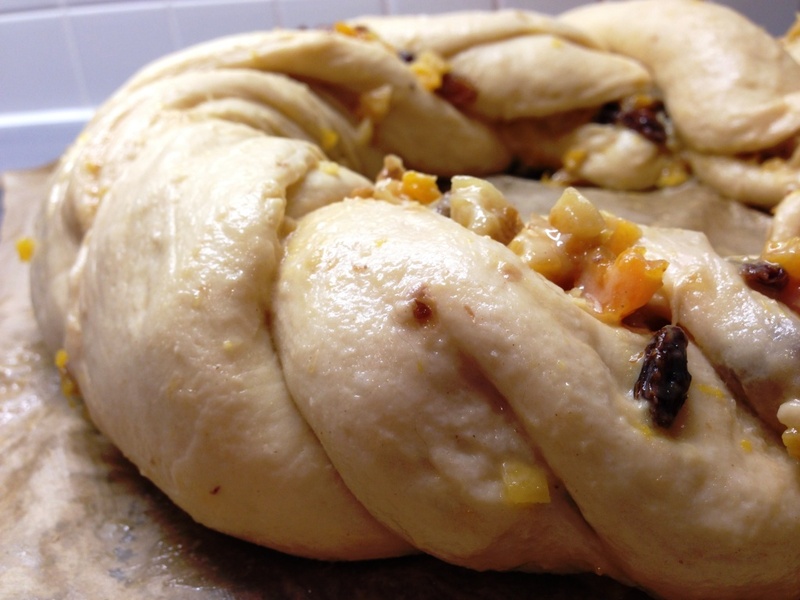 A quick bit of coercing back into shape and the crown went in for its second rise – coming out beautifully puffed up. And a surprisingly quick bake later (25 minutes, after 2 hours of prep!) 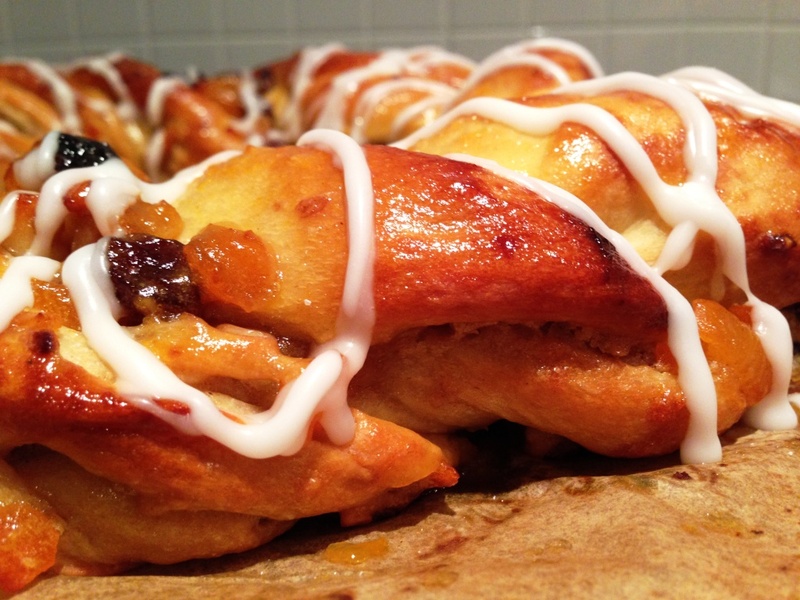 – a lovely golden crown, topped with an apricot jam glaze. 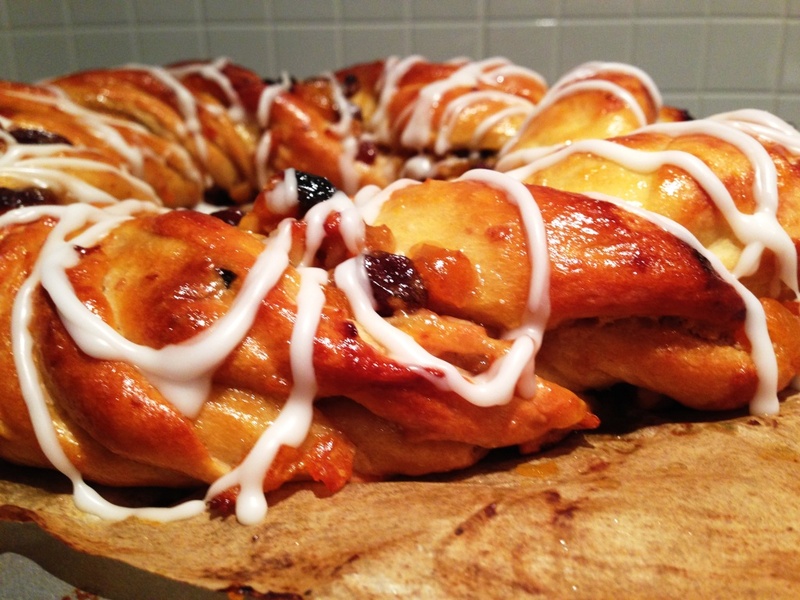 Finally a quick drizzle of white icing and the couronne was complete! I’m so happy with the way it turned out, it was great fun to make and some good tips picked up on sweet dough making. 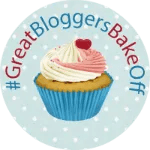 For more on this weeks challenges head over to The Great Blogger Bake Off on The Crazy Kitchen and Mummy Mishaps. 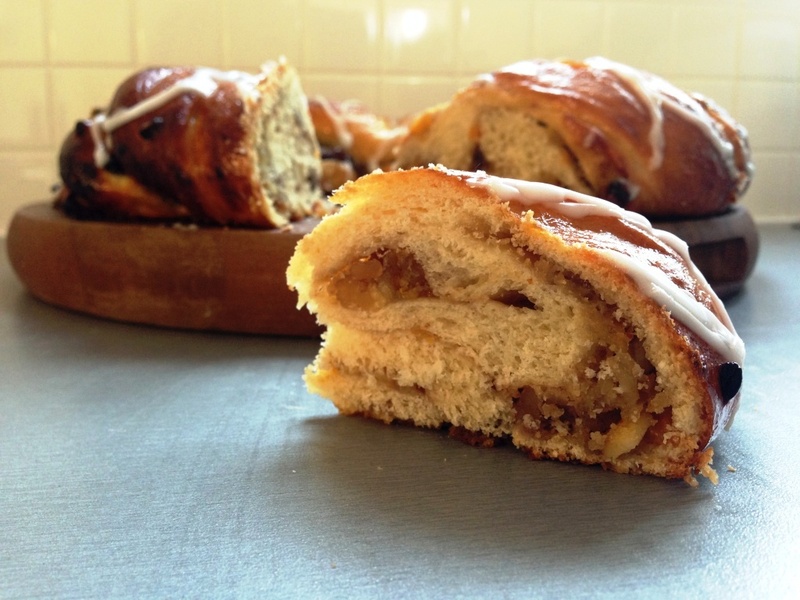 This entry was posted in Baking, Sweet stuff and tagged baking, bread, gbbo, great bloggers bake off by bakearama. Bookmark the permalink. 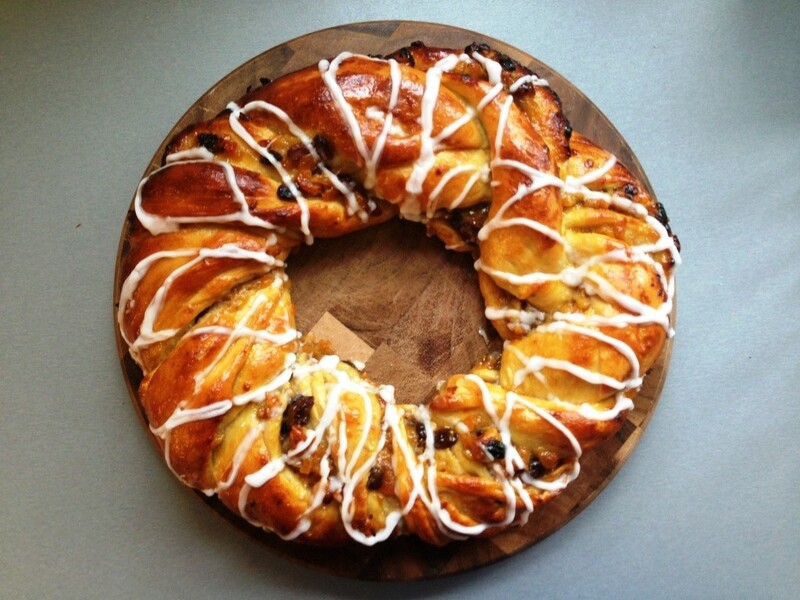 Great job on that Couronne, looks soooo delicious! It was really tasty and looked good too. that looks absolutely amazing! the inside looks so light & the overall look of it looks so professional! Well done on your first technical……it looks fab!! this does look super professional and the layers are so clear and well risen. well done – i really must try this for xmas i think. 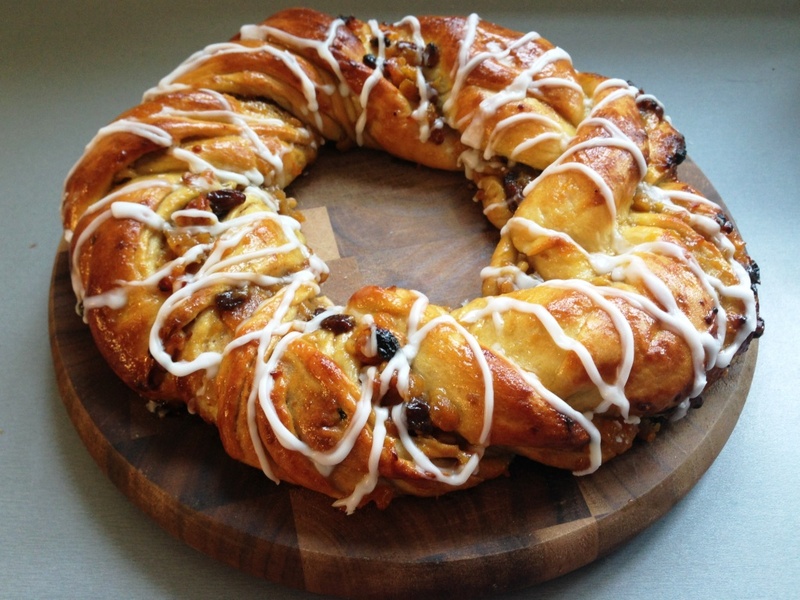 And this week’s star baker is…………. Bakerama! This looks absolutely delicious, nice job!